This is the traditional time when Gals Paradise take a look back at the top 50 racequeens of the year. The bonus with this issue is a single sided poster 83cms x 55cms approx. Quick run down of contents. 2014 top race queen Best 50 split into two parts. 2014 rookie RQ Grand Prix Best Newcomer Award. 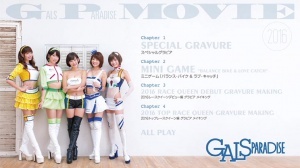 Feature on the 2014 Suzuka 8 race queens. Winners of the Japan Race Queen Awards 2014. 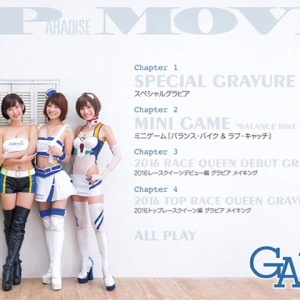 Gals Paradise Special gravure into two parts.